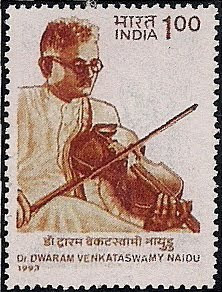 Dawaram Venkataswamy Naidu(1893-1964), carnatic (India) violinist, he was appointed professor of violin in the Maharaja's Music College, and became its principle in 1936. He was partially blind. He received several awards throughout his life.